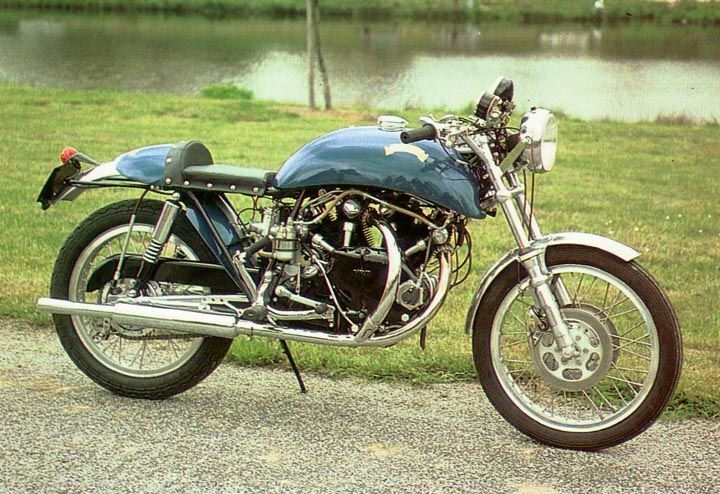 To help to understand why the Egli-Vincent became a mythic motorcycle, it is interesting to look at the competition back in 1967, when Fritz Egli presented the Egli-Vincent. The Vincent production had already ended 14 years ago, and, despite its age, the 75hp of the Lightning spec or even the 65hp of the Shadow spec were among the most potent motorcycle engines available at that time. Installed in a modern and performing rolling frame, the EV became the fastest Café Racer, able to keep up with the horde of Triton, based on the excellent Norton Featherbed frame and prepared by Dresda and Norman Hyde. 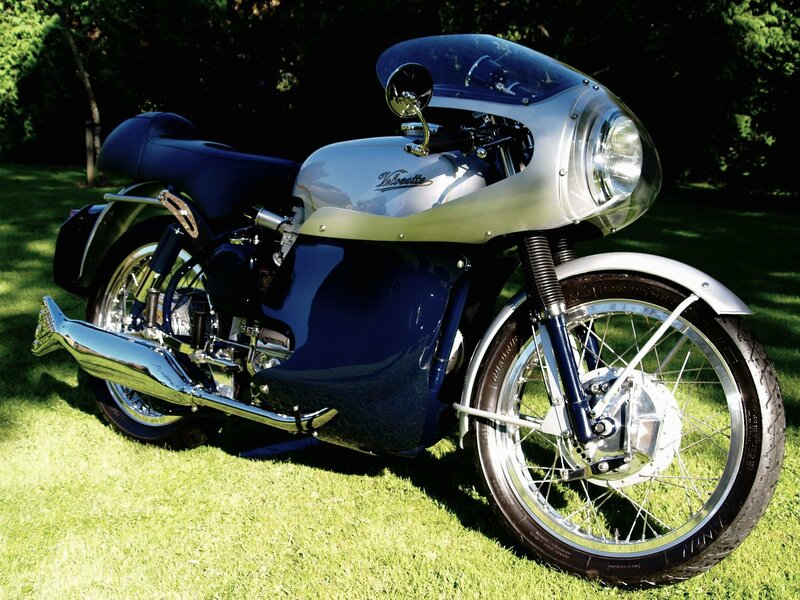 In 1967, the era of superbikes was also yet to come, and for most brands, 500 cc, 600 cc or 650 cc displacements was the ultimate solution for sport motorcycle like this fantastic Velocette 500 Thruxton presented below. 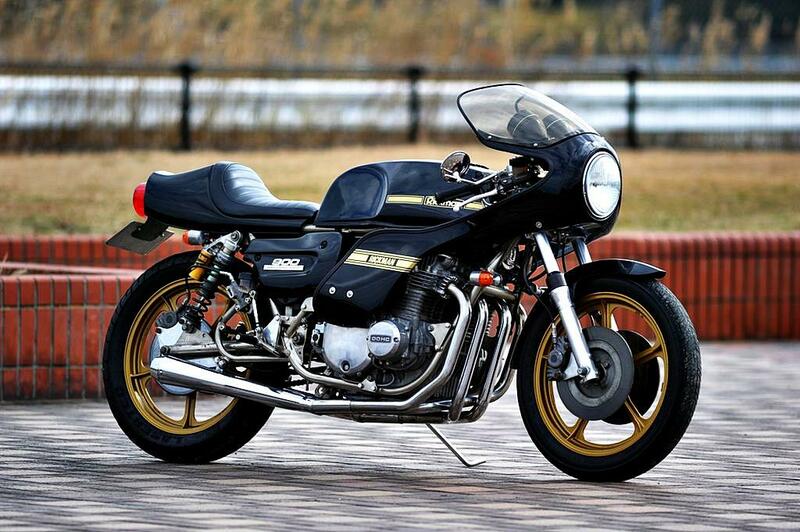 In fact, except the Munch 1200 TTS, which massive power came also standard with massive weight, only two 750 cc were available on the market: the Norton 750 Commando, Laverda 750 SF as the Moto Guzzi V7 Sport was only a 700cc; not even a single 1000 cc at the horizon! 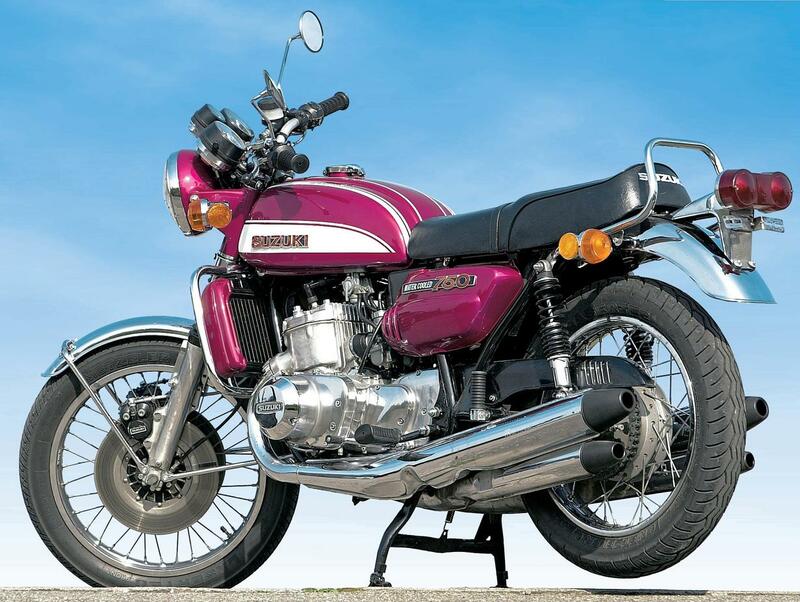 The launch of the Honda 750 Four in 1969 triggered the escalation of the engine displacements and subsequently more 750 cc became available like these BMW R75/5, MV Agusta 750 S, Ducati 750 Sport, Triumph 750 Trident, BSA Rocket 3, Suzuki 750 GT and late the Benelli 750 Sei; but this is not before 1972 that a new 1000cc was reintroduced on the market: the Laverda 1000 3C. 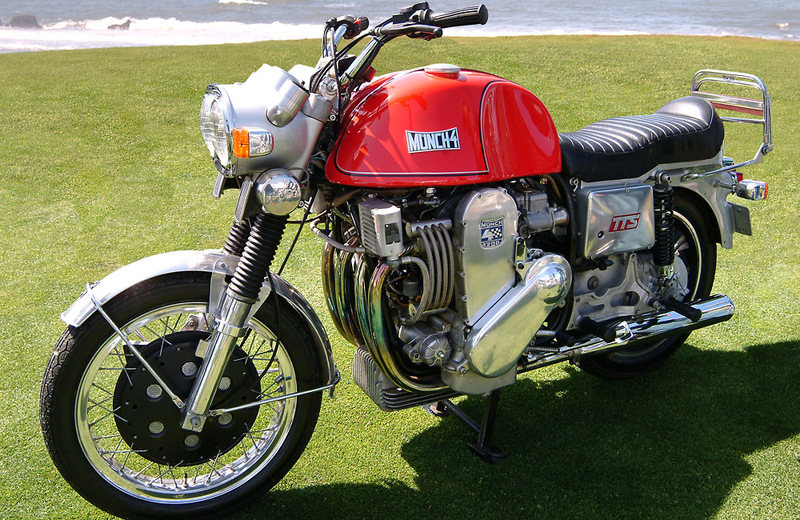 However, I believe that none of these motorcycle were close to this unique combination of performance, compactness, lightweight and road holding that the Egli Vincent was offering, not to mention this effortless feeling that the Vincent engine was delivering thanks to its lower rpm design, this is one of the reasons the Egli-Vincent became a myth. 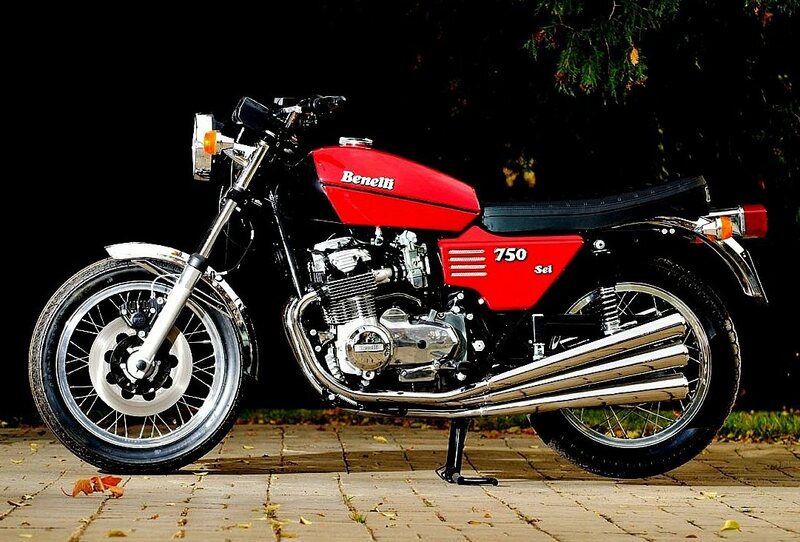 Finally, in 1975, came the Ducati 900 SS, a declination of the earlier 750 Sport and Super Sport with a larger displacement (860cc), Conti silencers and 40 mm Dell’Orto carburators. 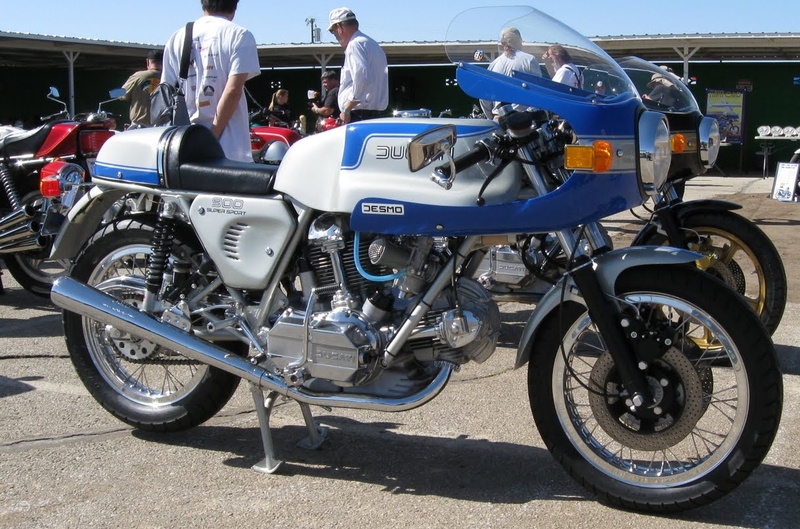 This 900 SS was certainly the closest to the spirit of the already ten years old Egli Vincent: gorgeous design, deadly fast, great brakes, incredible road holding and of course this light weight which made a big difference for a sport or racing bike. 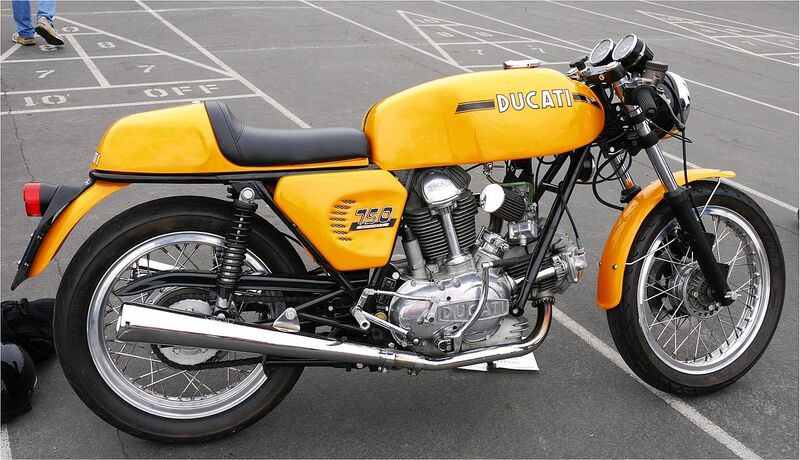 By winning the TT in 1978, Mike Hailwood then confirmed that a “torquy and slim” V-Twin in a light and rigid rolling frame was finally “not a bad recipe”, although it will take time for Ducati to set the stage broadly in racing. 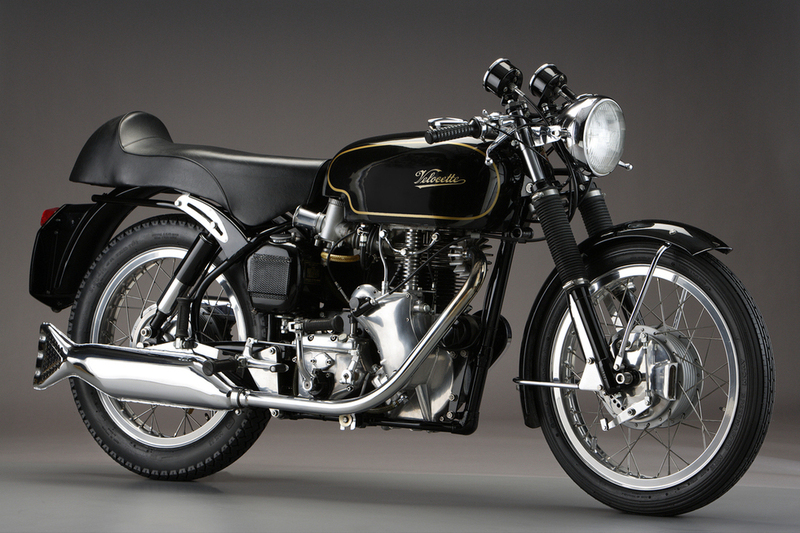 45 year later the Egli-Vincent remains an incredible motorbike that did not take any wrinkle. Of course, performance wise, modern sports bikes are much more of everything, but like any classic bike, the Egli-Vincent delivers you this unique clue that rev you backward in the past, which makes you smile every single second you ride them. To my eyes, this is priceless. This is the one we talk about in this pages. 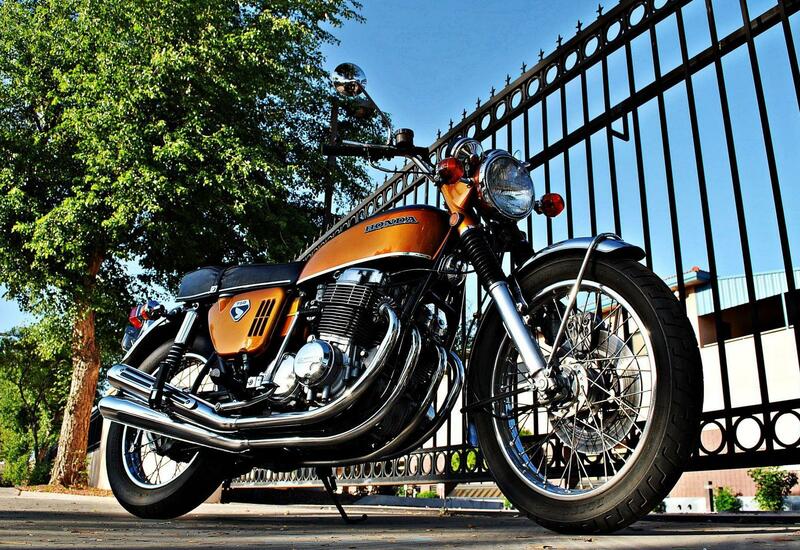 This bike is currently owned by the French VOC member Alain Grare. 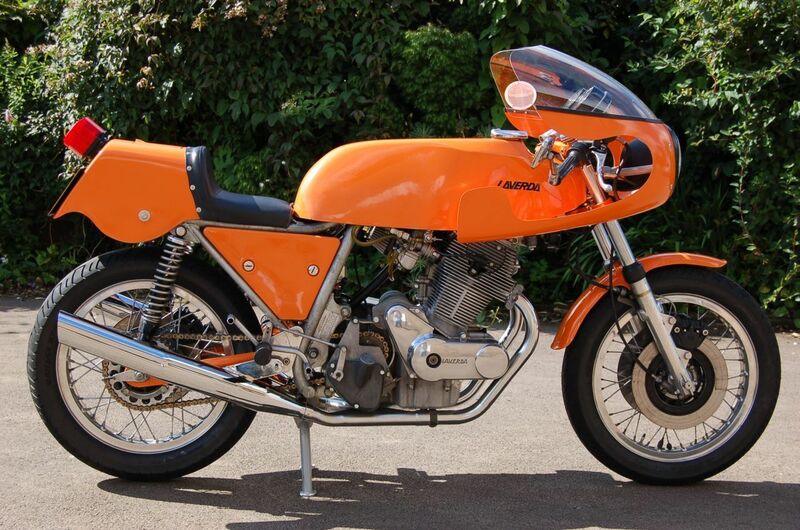 This 750 was a genuine first step in the world of the motorcycle for Laverda, which was producing only small displacements. 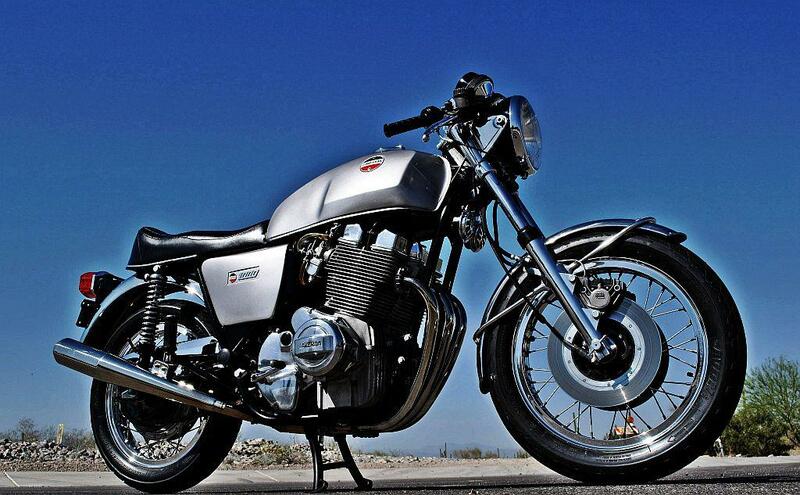 Inspired by the Norton and other english twin (parallel twin with 360 crankshaft config) and also by the Honda CB92 (make a close search on the cylinder head design), this bike has a genuine charisma but the subsequent introduction of the 1000 was going to take all the fame and limelight. 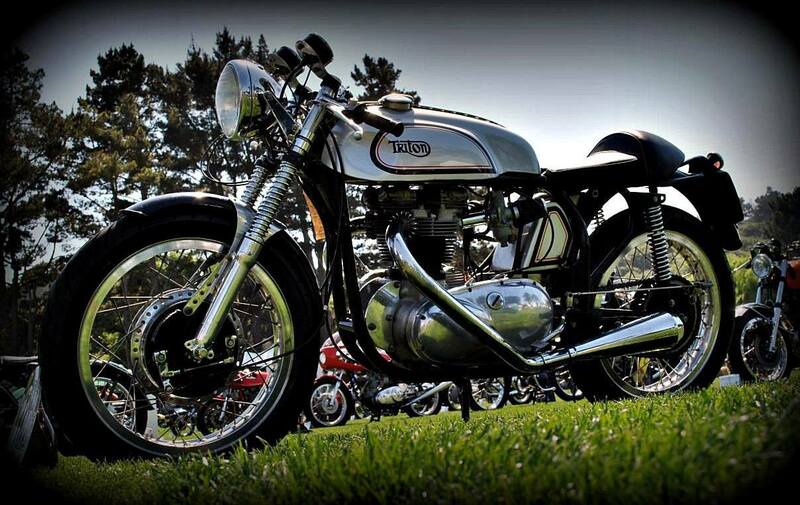 1968, one of the numerous Triton Cafe Racer. 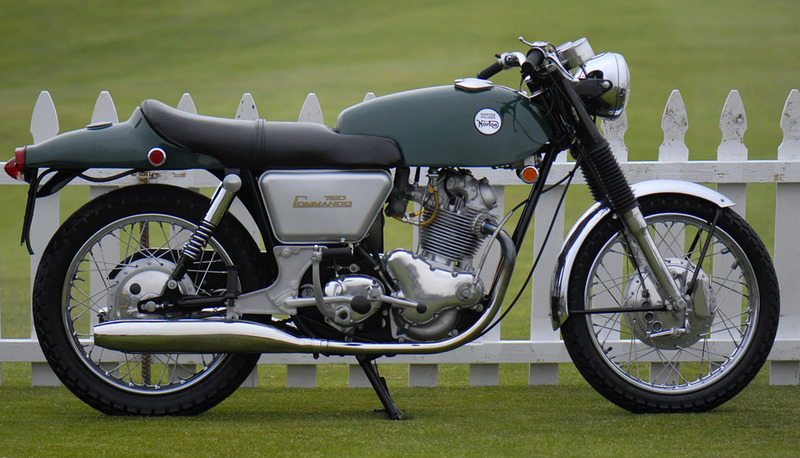 Back in the 1960s, Norton was dominating the english competition on the road and on track with its Featherbed frame in multiple variants for the Manx, the Dominator or the Atlas. The wide frame loop was indeed able to welcome numerous mills, including Ariel (Esquire). Vincent (Norvin) and of course Triumph (Triton) and so more or less every combination was tried by the wizards of the mechanic. These cocktails were generally peered with heavy preparation made by Dresda, Norman Hyde or others. 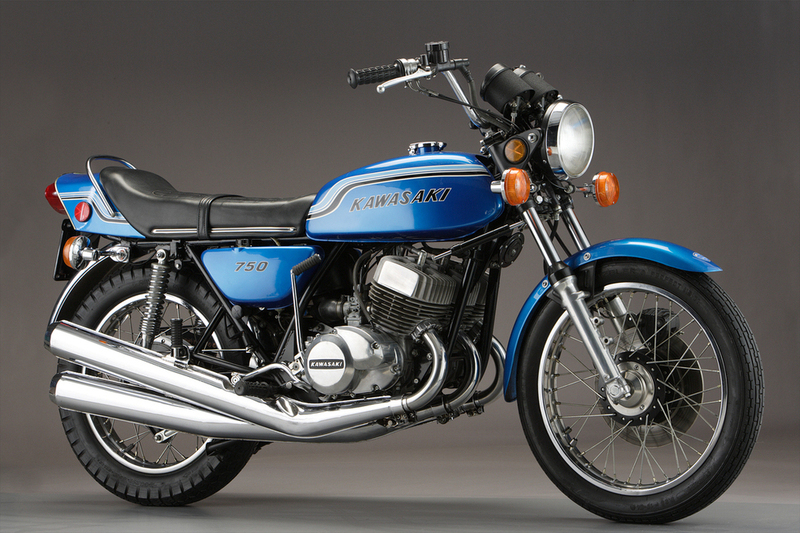 In the 1990s a Munch would have look nearly insignificant compare to the huge Kawasaki Z1300, but when you replace her in the context of the mid 1960s, this was a genuine “monster”. 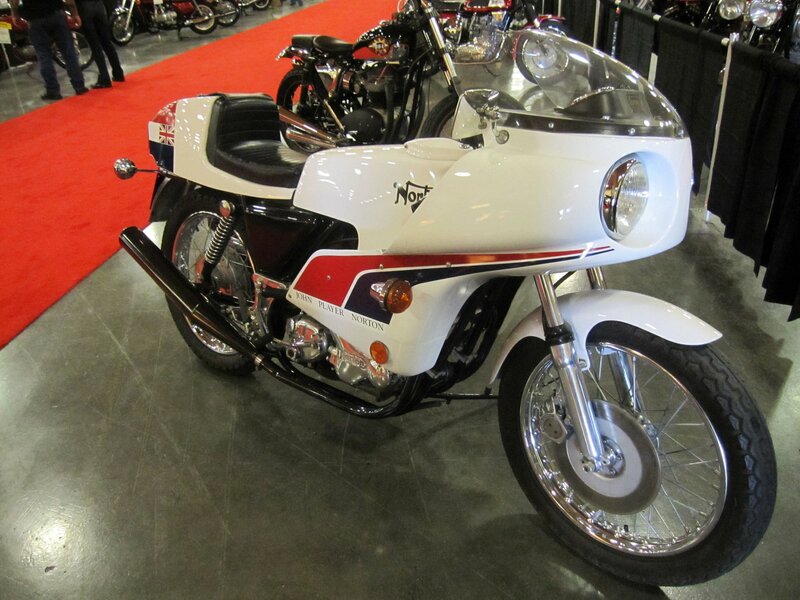 I was then just a kid and when we were talking motorcycles during the recess, the Munch was said to be “so fast” that there was no road long enough to enable reaching the top speed….. this still gives me goose bump 45 years later! 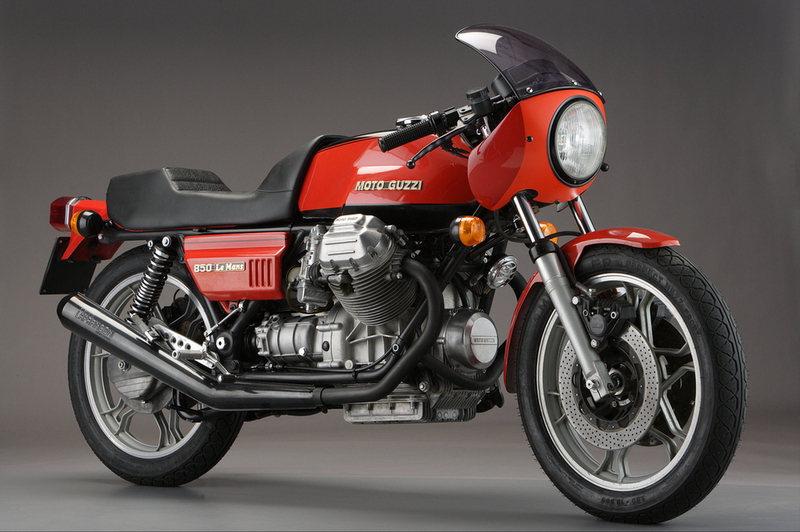 For many of my generation the 750 Four was a blast the first time that we saw her in the street: 4 pipes, 4 cylinders, electric start, turn signals (! ), etc…. a genuine step forward in the future. However what made her famous also made her looking obsolete quite quickly. She was indeed unable to keep up with the technology race that she kicked off. Anyone which has ridden a british single will understand why these engines are so different and so great. 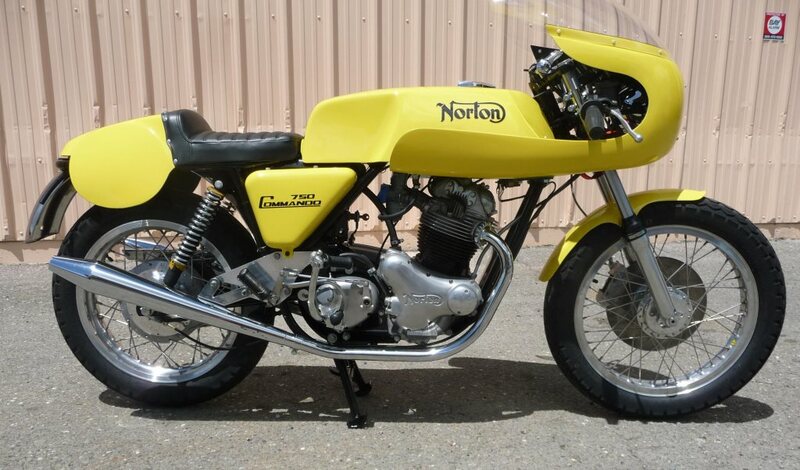 At that game the Venom Thruxton was certainly the ultimate choice as a street legal while the Norton Manx or Matchless G50 were purely competition focus. I must admit that I have a soft spot for this Thruxton Veeline and this is why I put her picture as album cover for this post: tiny, light, with character, good performance and even good looking, she got my vote. 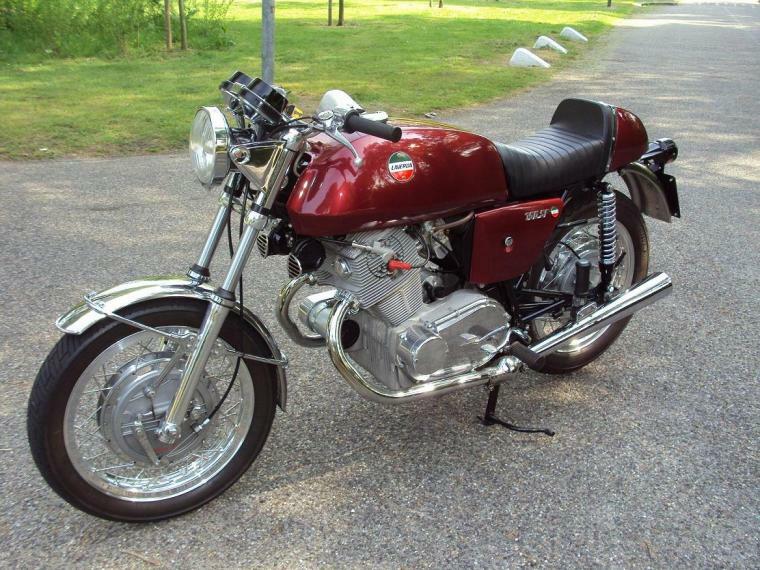 1971 MV Agusta 750 Sport: I am not at all a fan of the four pots but I have to admit that this MV carries so much legend, dream and memory of my childhood (Ago, Phil Read…), that I love it and with no doubt she has a place in my heard and in my “virtual motorcycles collection”. 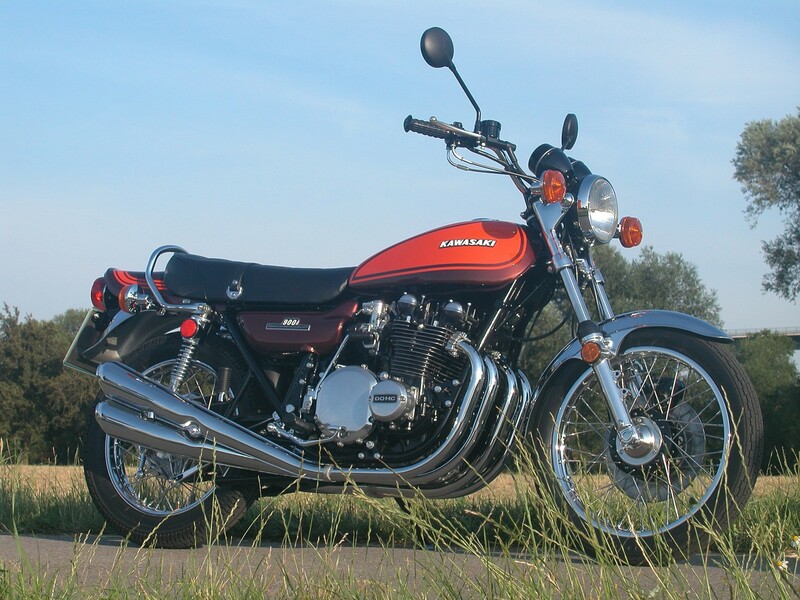 The launch of the Honda 750 Four in 1969 triggered the escalation of the engine displacements and subsequently more 750 cc became available as you can see in these pages; but this is not before 1972 that this new 1000 cc was reintroduced on the market. Only 3 cylinders but a double overhead camshaft. 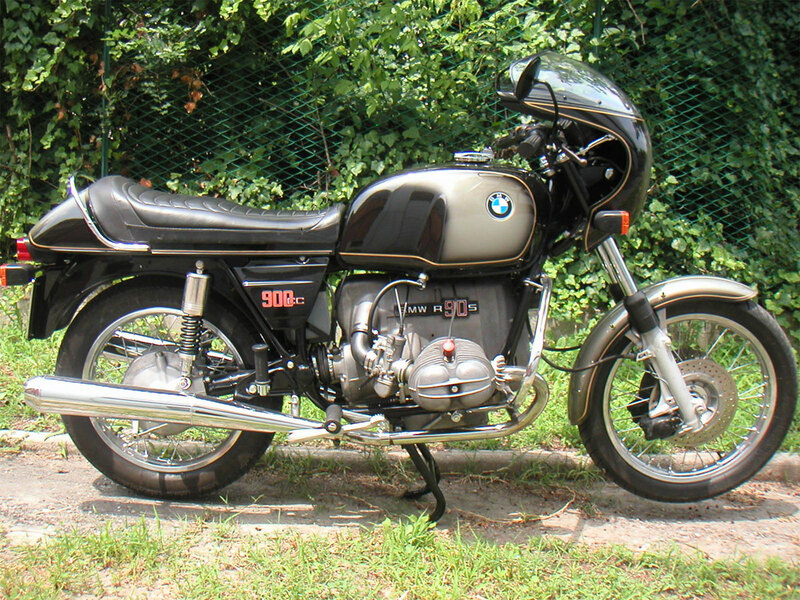 The very first model had however an 4 cams front brake. 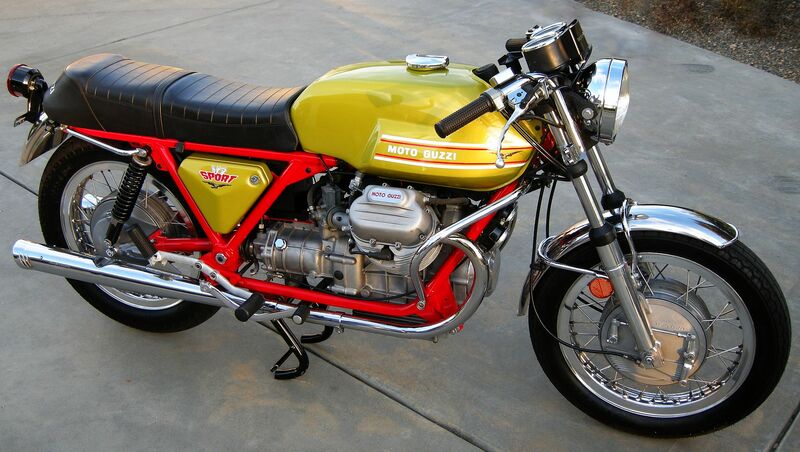 Finally, in 1975, came the Ducati 900 SS, a declination of the earlier 750 Sport (1972) and Super Sport (1974). 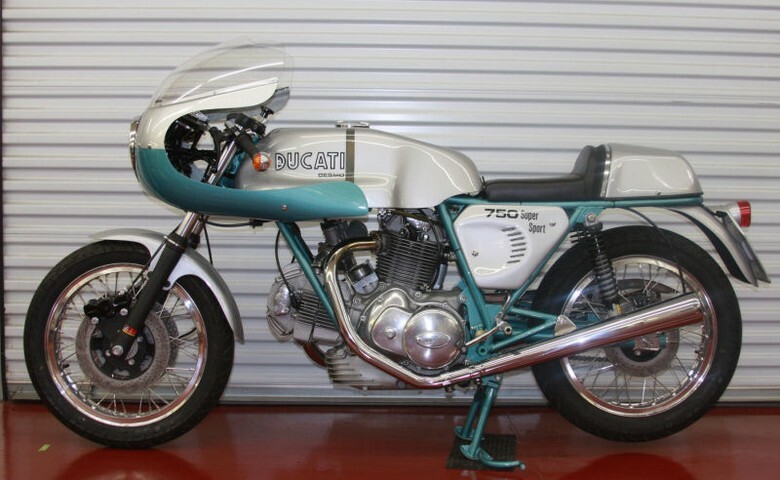 This 900 SS was certainly the closest to the spirit of the already ten years old Egli Vincent: gorgeous design, deadly fast, great brakes, incredible road holding and of course this light weight which made a big difference for a sport or racing bike. By winning the TT in 1978, Mike Hailwood then confirmed that a “torquy and slim” V-Twin in a light and rigid rolling frame was to become the ultimate race bike recipe for the following decades. what an enlightening and excellent article. this era of bikes is my favourite and you summarise it very well – it answered a lot of my questions and great to see a comparison of the bikes. i always wanted to see that! beautiful photos! thank you. What a joy this page has been. Beautiful pics. Thanks. I owned some of these bikes Kaw triple, water cooled Suzuki triple, JPN 850, Moto Guzzi 850 Lemans, Sorry to say I pretty much trashed and abused everyone of them but had a lot of fun doing it! It’s kind of bittersweet to look at them now looking the way they did when new! I rode them everywhere Daytona, Laconia, Ascot, Laguna Seca, Pocono, Watkins Glen, Mosport. Ride to live Live to ride!! Superb ensemble and a great way to put EV in context.